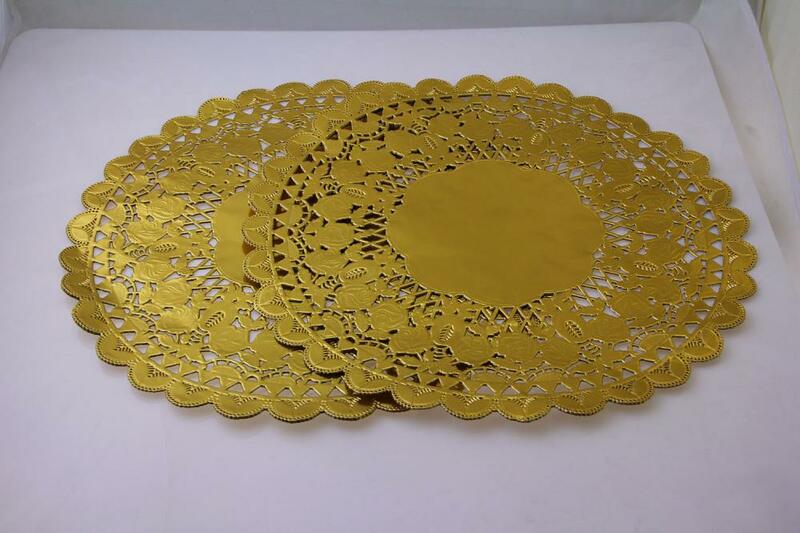 Gold Foil Round Paper Doilies are used to add pizza at dinner parties, wedding parties or birthday parties. I have bought these for twice it looks very beautiful and I like the golden color when I put it on my desk it is also shining. 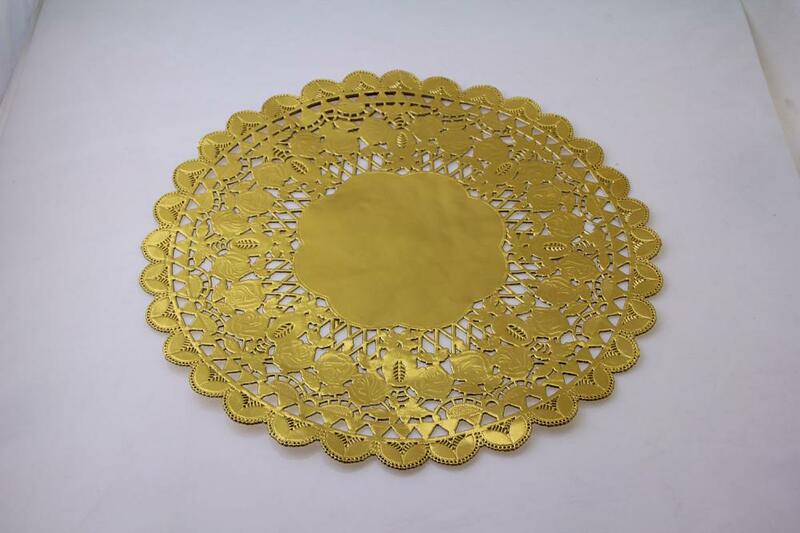 Gold Foil Paper doilies made by 65g foil paper, which have excellent performance of non-stick and eco-friendly. Although there will be little scraps of paper, but it definitely doesn't affect its pretty lace. I`m going to use it to decorate my dining table, it fits my kitchen very well. At the same time, my family are full of praise for this gold foil paper doily. Look nice! Looking for ideal Gold Foil Round Paper Doilies Manufacturer & supplier ? We have a wide selection at great prices to help you get creative. 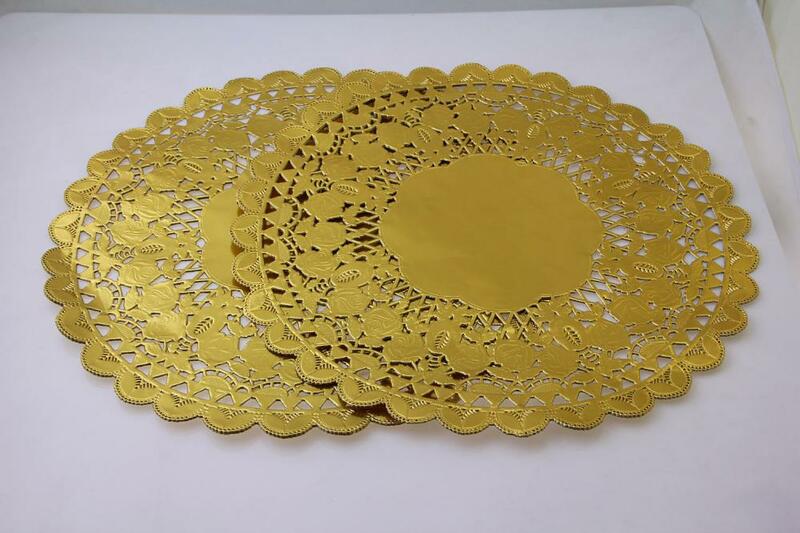 All the Gold Foil Paper Doilies are quality guaranteed. We are China Origin Factory of Round Paper Doilies. If you have any question, please feel free to contact us.